Sales for the lowest promotional prices. Offers are time-limited, or until stocks are exhausted. Returned, unpacked or short time used goods, functional and with full guarantee. Used or second-hand goods, tested and offered with limited guarantee. 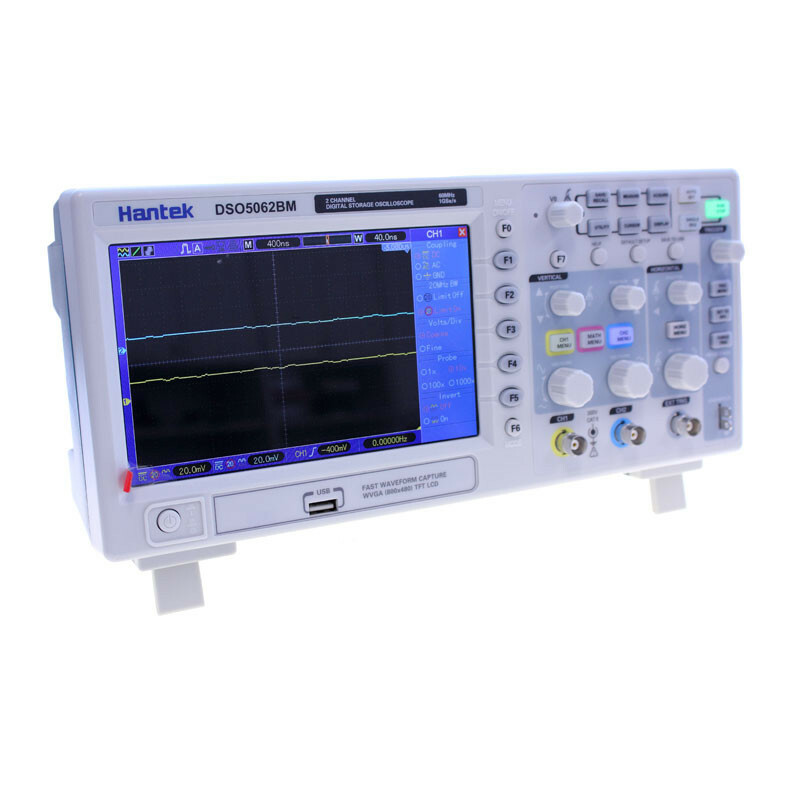 The Hantek DSO 5102BM is a desktop oscilloscope with an excellent price-performance ratio. 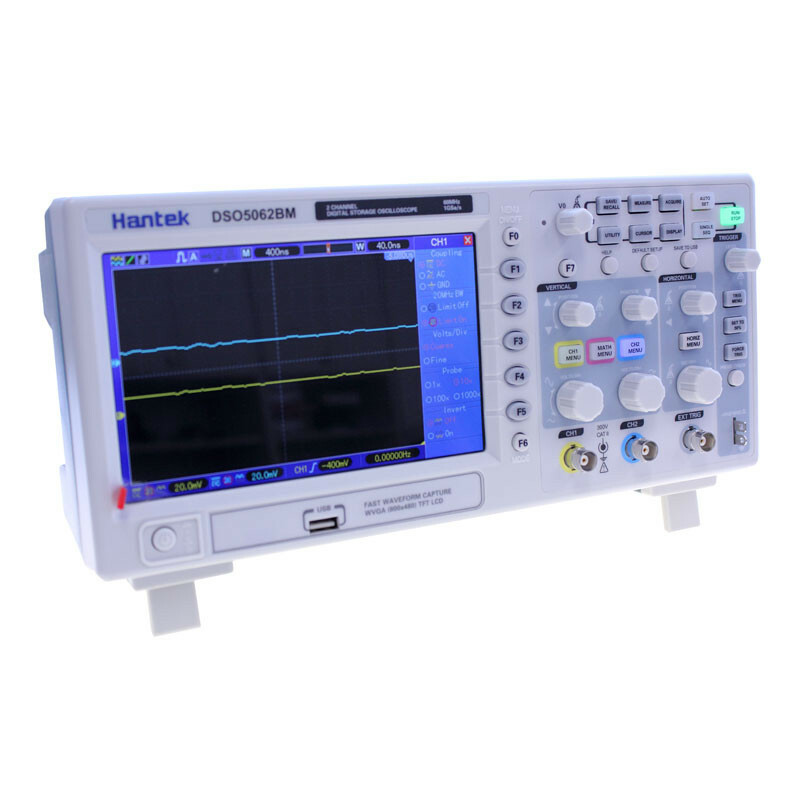 Hantek digital oscilloscopes offer an excellent price/performance ratio. 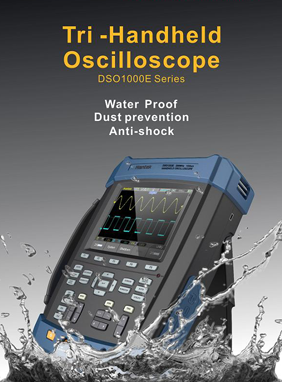 The DSO 5000 series offers twelve versions of digital oscilloscopes with the 60, 70, 100 and 200 MHz bandwidths. 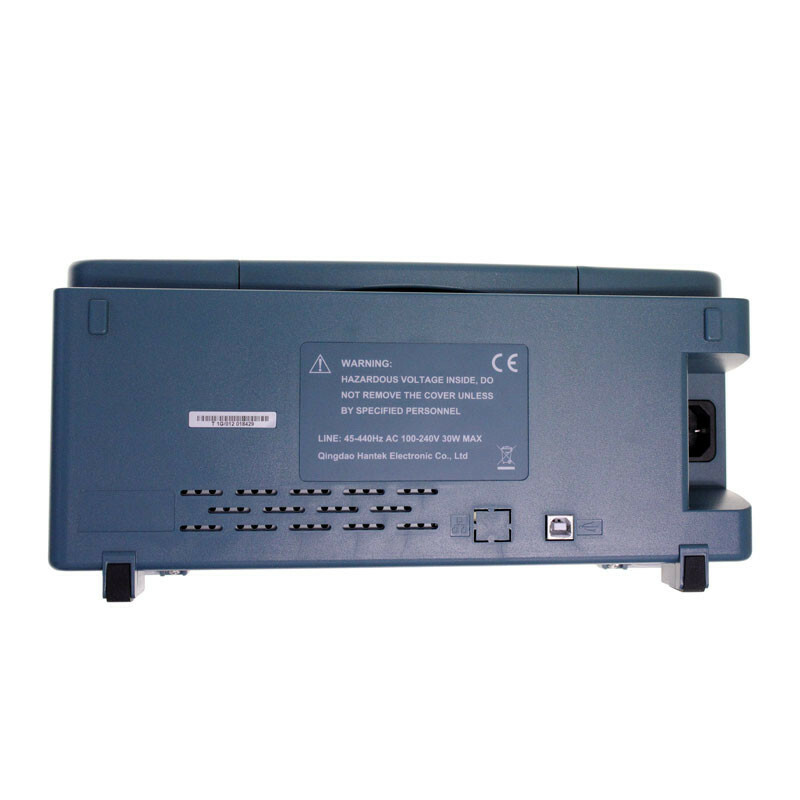 The main features of the DSO 5102BM model are the 1GS/s maximum sampling rate, 2M sampling memory, USB host on the front USB pannel (data storage possibility), connectivity for long-distance control by PC (software included) and external trigger. 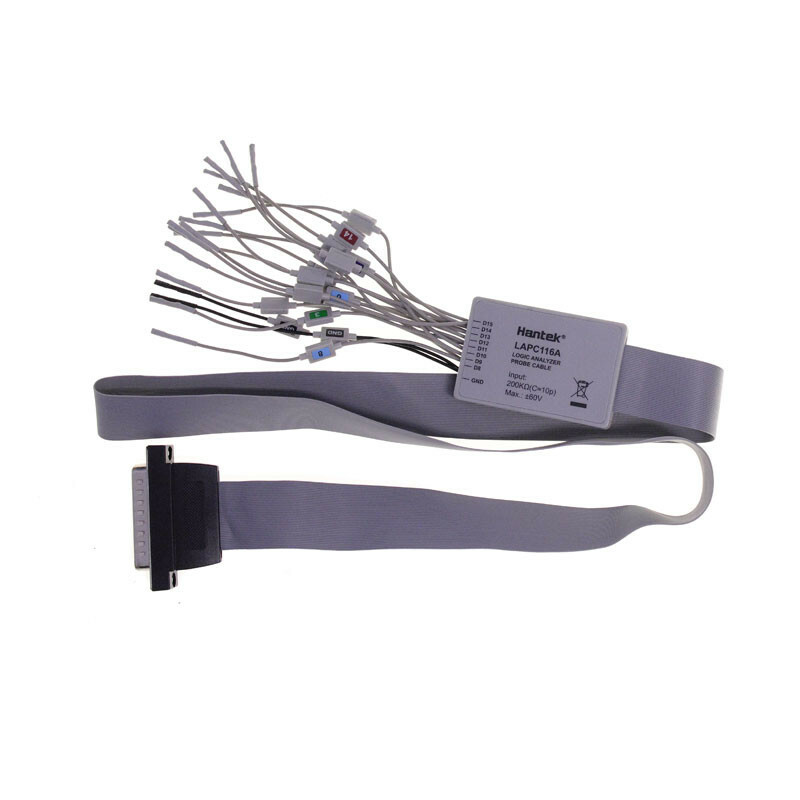 Standard delivery includes two 60 MHz passive probes 1:1 and 10:1. Comfortable and user-friendly layout of the control elements is underlined by a large 7“ color TFT display with 800x480 point resolution. 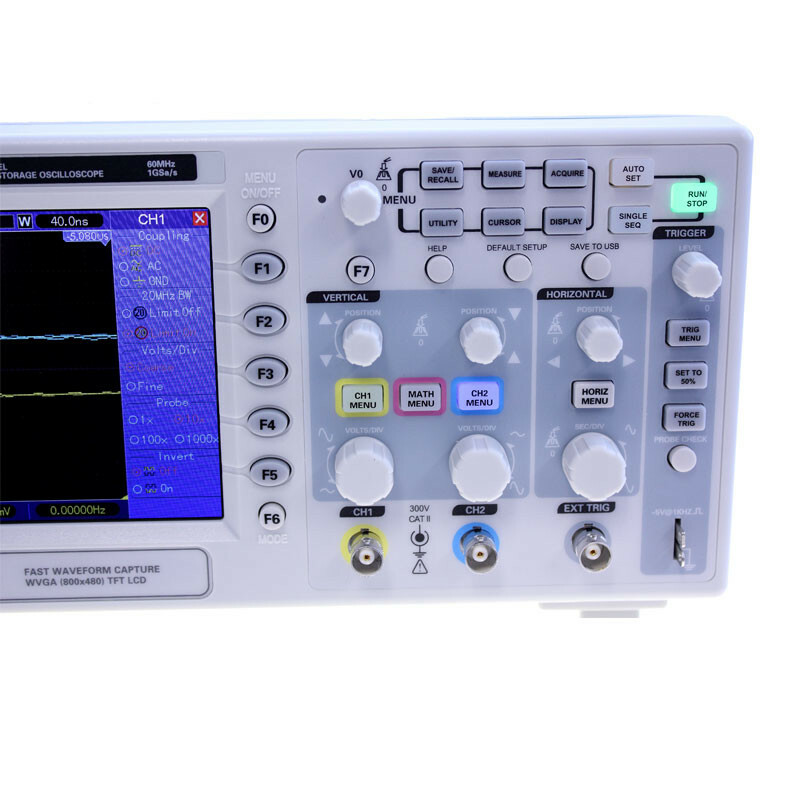 The oscilloscope control programme features all of the main functions commonly found in this type of measuring stations, including much more expensive ones, such as the Autoset function, Single/Dual Windows function, math functions including FFT, extensive trigger possibilities with detailed setting (Edge, Pulse, Slope, Swap, Overtime, Video, AC Line and External Supply), signal storage and recording possibility (into internal memory or USB disc), wide range of measuring cursors and measurable values in the vertical as well as in the horizontal system, acquisition modes and settings, screen settings, and more. 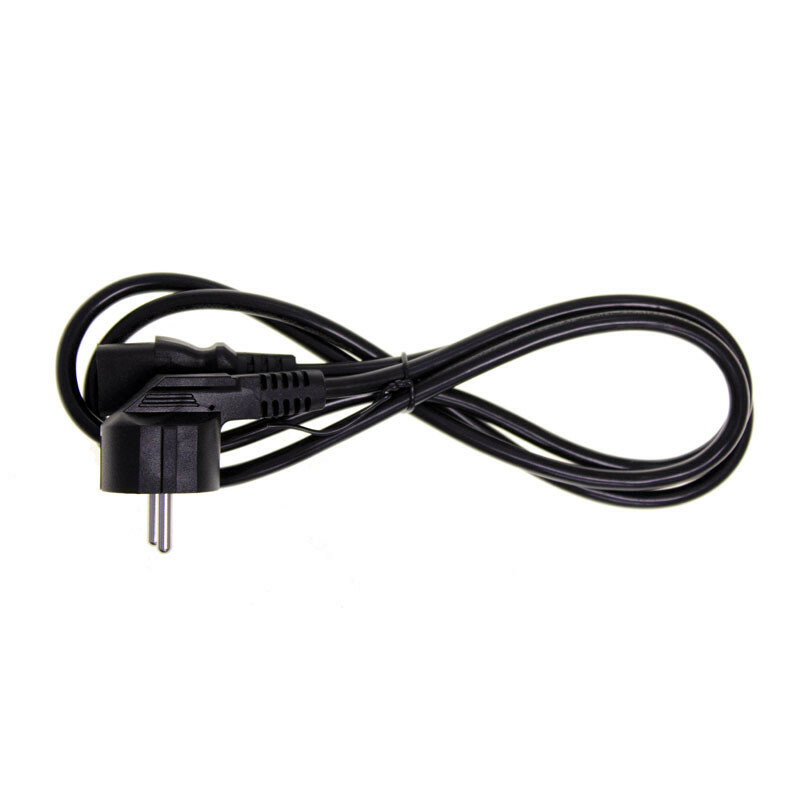 An obstacle for anyone interested in owning a good oscilloscope is the purchasing price of a digital oscilloscope. Quality oscilloscopes are expensive. 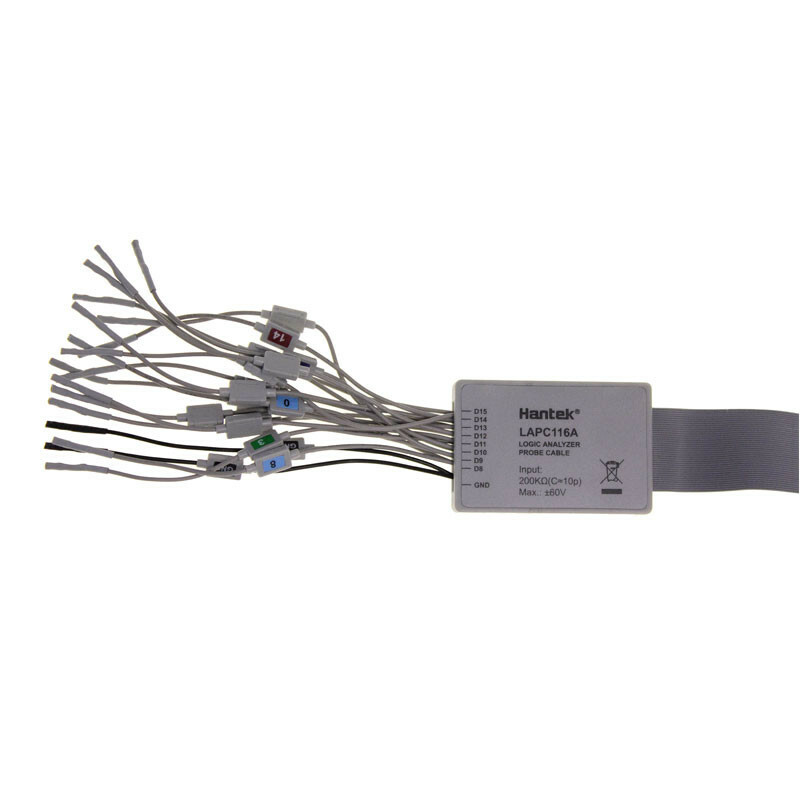 Hantek brings an alternative and offers a balanced price/performance ratio. Measuring technology development and production are marching in seven-league boots, and everybody understands that computer technology prices have fallen sharply in the last decade. Measuring technology is no exception. 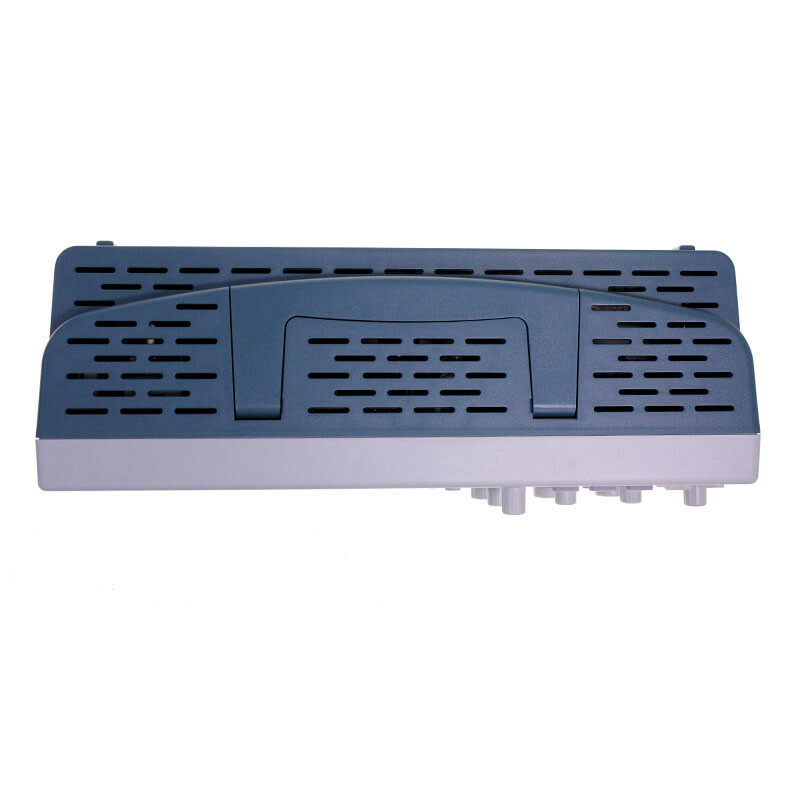 Hantek offers a cheap and good quality solution, although not a perfect one. Hantek oscilloscopes are accessible to anyone interested in making the relevant measurements. The programme user environment is intuitive and friendly so that even less experienced users will find it easy to use. The oscilloscope control programme is completely in English. The producer releases firmware updates which can be downloaded free of charge. 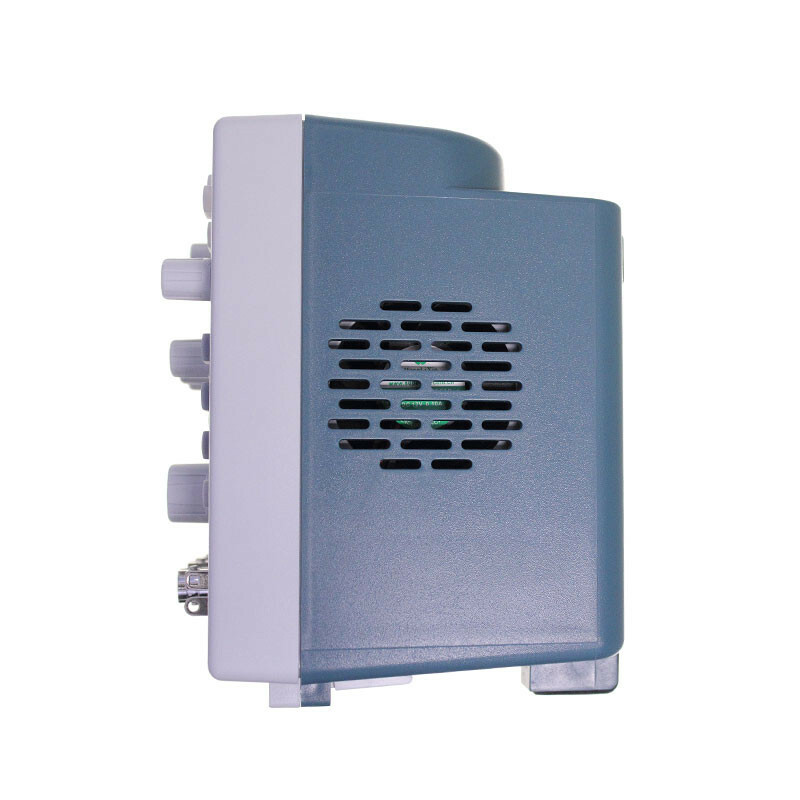 For more information go to the product pages or to the Czech support pages hantek.cz. 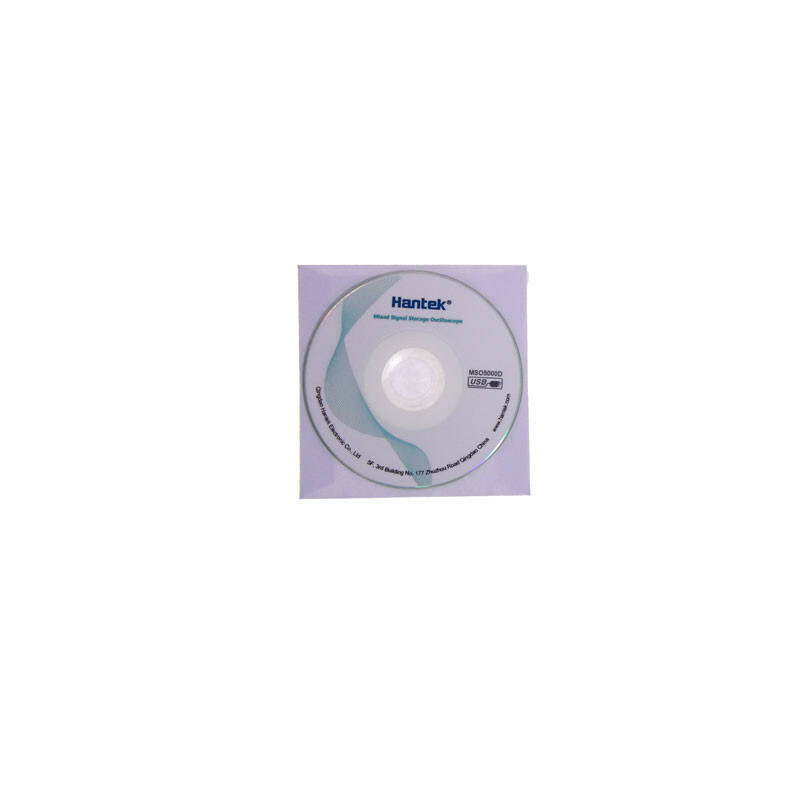 Detailed technical index please refer to "DSO5000B Series Datasheet"
© 2018 hantek.eu. All Rights Reserved.